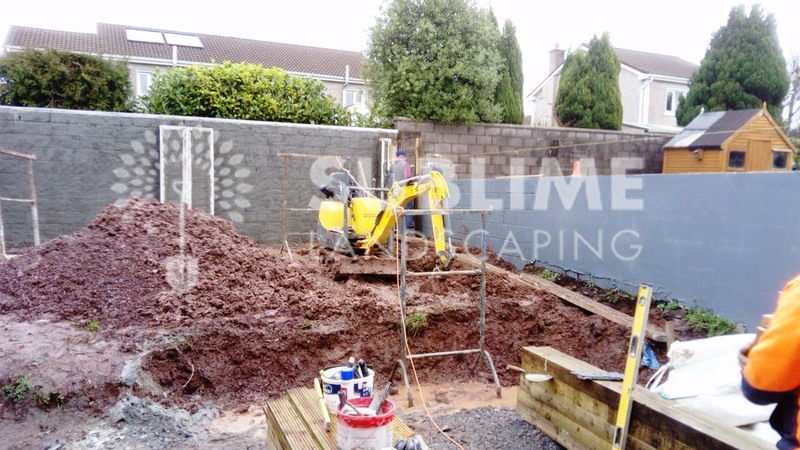 This garden was post building site and the client had asked us to install a low maintenance garden to suit dog and family all year around. 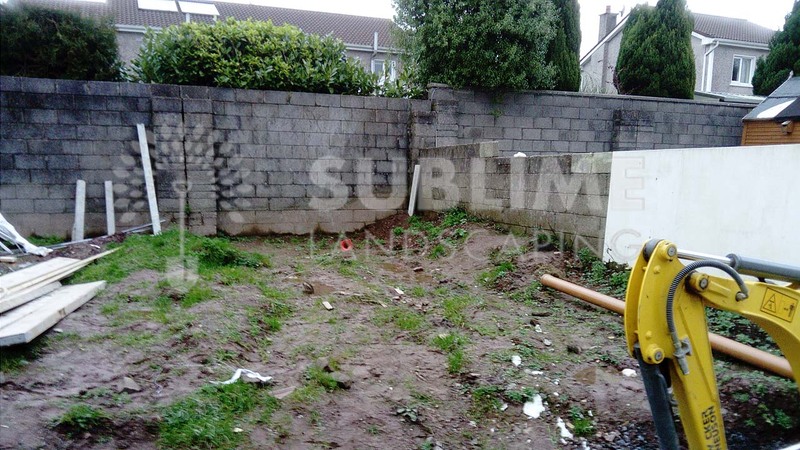 The ground conditions were particularly bad and the soil type had poor drainage compounded by the north facing aspect of the garden. 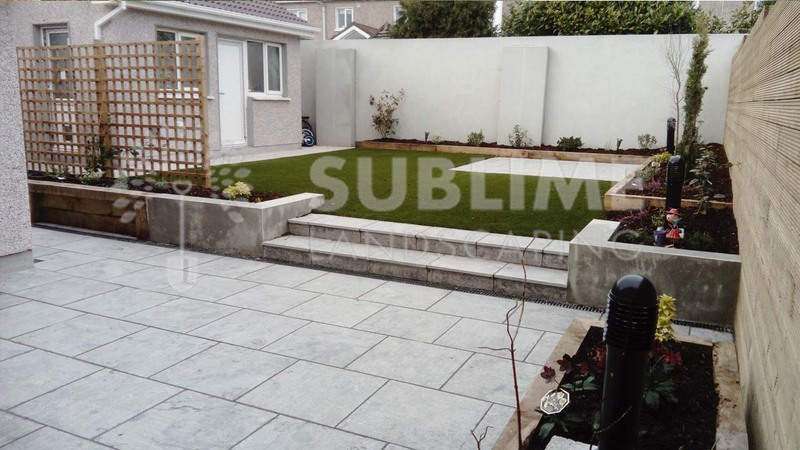 Sublime Landscaping Cork installed low maintenance planting, flamed limestone and 40mm Artificial Grass, resulting in a muck free garden even in the depths of winter. 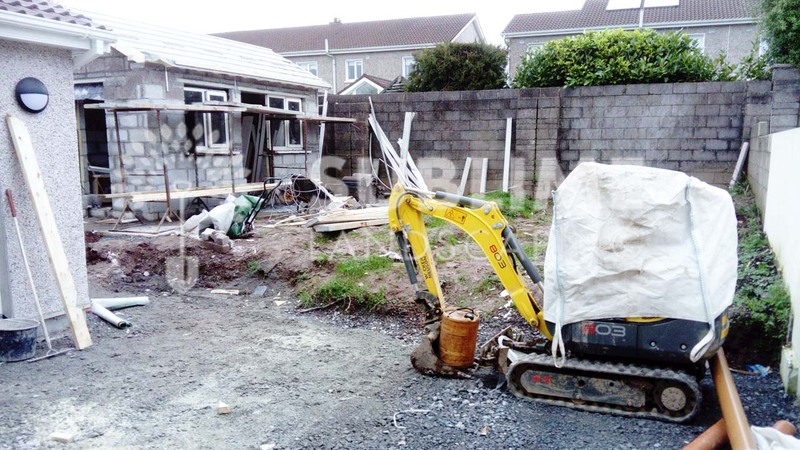 Fencing was also installed to increase the privacy of the garden and electrics for night time lighting. Referred to Sublime by a neighbour who was a very happy customer, delighted to have chosen Sublime after talking to a few other companies. Professional with clear communication from start to finish. Quality of workmanship, attention to detail & finished product way beyond anything we thought or expected.